• All eatables are hygienically cooked using best ingredients to ensure wholesome nutritious and tasty meals. 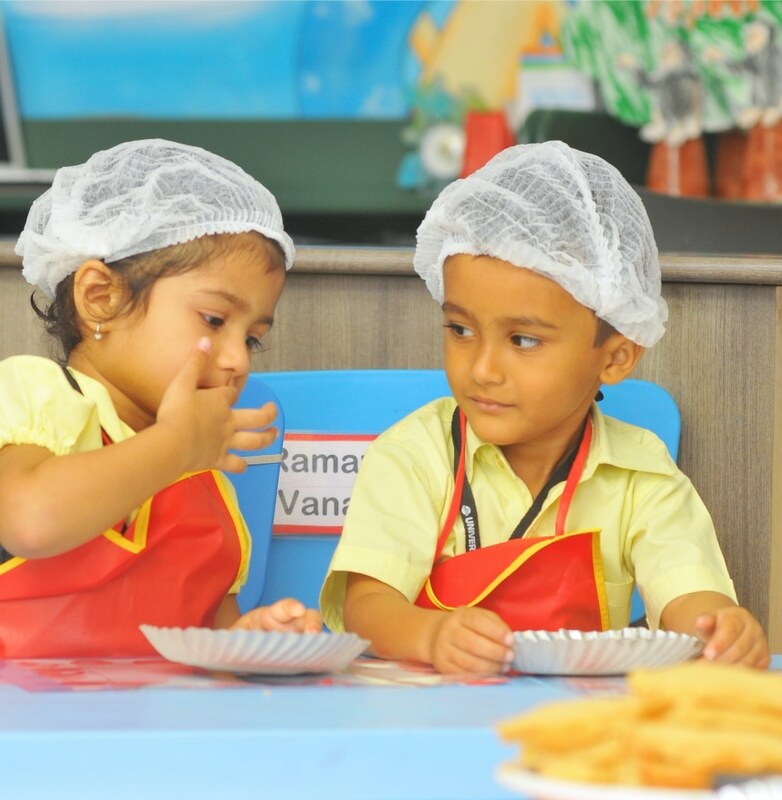 • Universal ensures learners’ eatables are tested after being prepared by chefs who have years of experience in delighting palates with delicious & healthy menu choices. 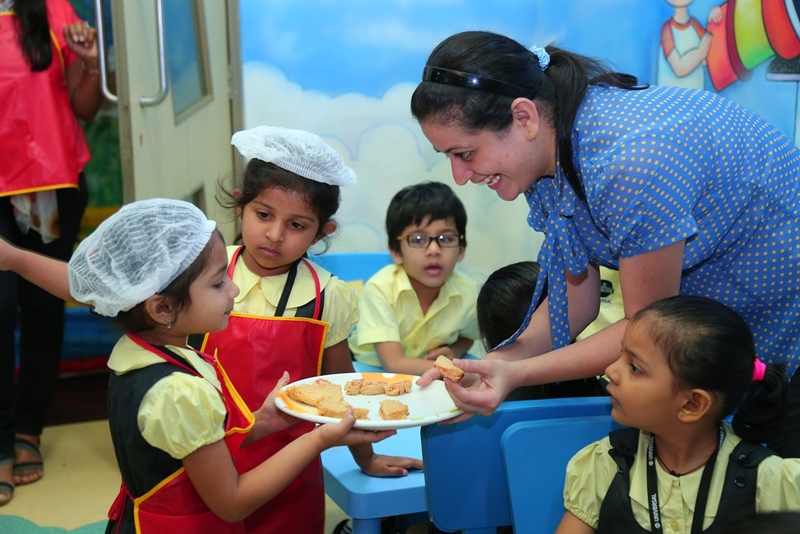 • All meals are vegetarian and served by uniformed staff in hygienic conditions under the supervision of teaching and administrative staff.